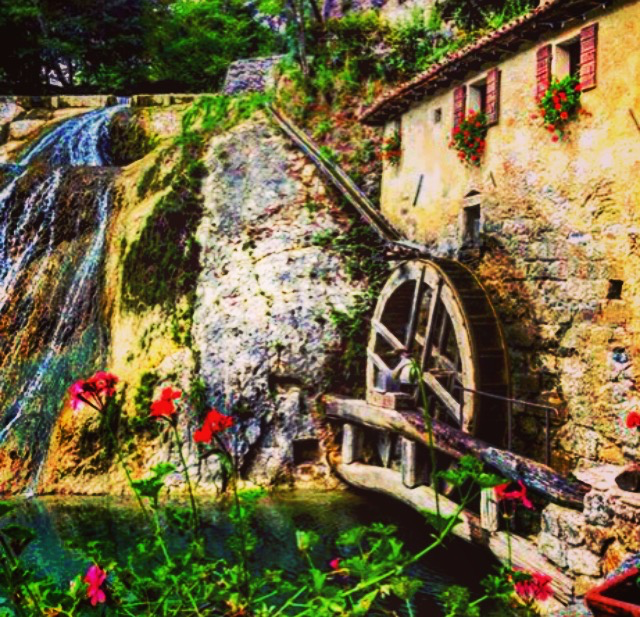 The first place my husband took me to when I first arrived four years ago was that old 17th century mill located in the rolling hills of a small town known as Refrontolo in the province of Treviso. Along with the beautiful landscapes and nature came a story about my husbands childhood and now that I have lived here for over four years, I’ve got the story down pat and thought I’d share it with you all..
My husband Marco, his brother Roberto, and his cousin Christian would leave their home in Treviso by bicycle and take the long scenic bicycle ride to Molinetto della Croda.. That’s a good 25 km up and down and all around curvy hills and gravel roads.. Mind you they did this when they were about 13 years old. And once they arrived, the first thing they did was jump in the river known as Lierza valley. And after they would camp out at Christian’s Aunt home who lived out in the country near the mill itself. Marco insists to tell me the story every time we go to visit one of the most picturesque places within the Province of Treviso. It also happens to be on the way to one of our favorite places to eat called Da Brun. What a lovely childhood he has had… Can you imagine going for a 25 km bicycle ride with your friends and swimming in a river that has been around since the 17th Century. So much art,culture, history! Wow!! But to them, it is and was the norm. Here are two photos that I took on my recent trip to see one of my favorite spots that holds a special place in my heart. 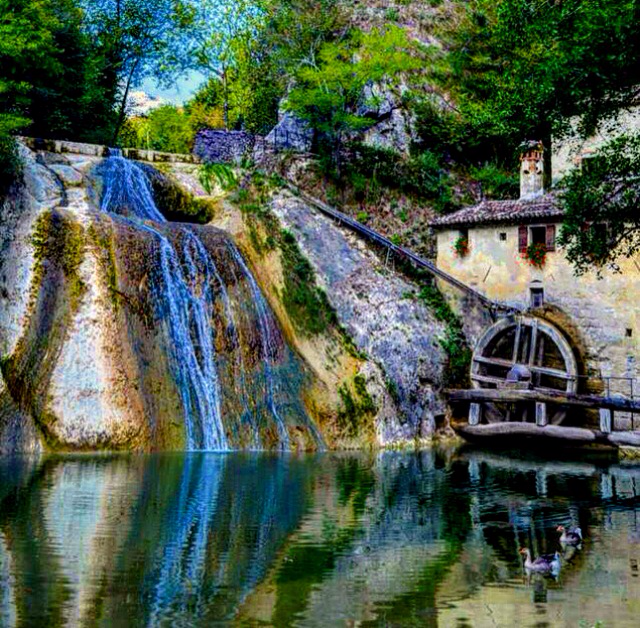 This 17th Century Mill is a symbol of the local rural life.. In 1953 the mill stopped working and later was restored in 1991 when the commune ( city hall) bought it and turned it into a museum. And if you’d like for 2 euro you can visit and learn the about the local culture, hardships and traditions that the “Miller” family endured while living at the mill. Just beautiful! And by the way – I ate at Da Brun didn’t I?